She Taxi to Guruvayur malayalam movie to be directed by Saji Surendran revolves around the interesting incidents that happens in between the journey from Thodupuzha to Guruvayoor. Scripted by Krishna Poojappura, the movie will have a prominent actress in lead. This female oriented travelogue will start rolling from September this year. After the grandiose success of 'Angry Birds', filmmaker Saji Surendran is gearing up to helm his next project. Titled 'She Taxi to Guruvayur', the movie revolves around the interesting incidents that happen in between the journey from Thodupuzha to Guruvayoor. Scripted by Krishna Poojappura, the movie will have a prominent actress in lead. Anoop Menon has been confirmed as a part of the movie while the music department will be safe in the hands of Bijibal. This in and out family entertainer and female oriented travelogue will start rolling from September this year. The movie will centre on a female taxi driver who is called by two families to drive them from Thodupuzha to Guruvayur. Touted as a road movie, exciting events happen during the journey. Like his previous ventures, this too will be a fun movie with locations from Thodupuzha to Guruvayur. The project keeps the interest high as it is about 'She Taxi'- the new initiative taken by government for safe travel of ladies. Krishna Poojappura, who is the regular scenarist of Saji Surendran right from his first movie, will move his pen scripting for 'She Taxi to Guruvayur' too. The scenarist who is much familiar with the taste of the audience will add maximum humour to keep them intact. While the pre production works of the movie is undergoing in full swing, Saji Surendran is also working with the yet another project with Jayaram. Starting from 'Ivar Vivahitharayal', Saji as passionate filmmaker had given a handful of hit movies. 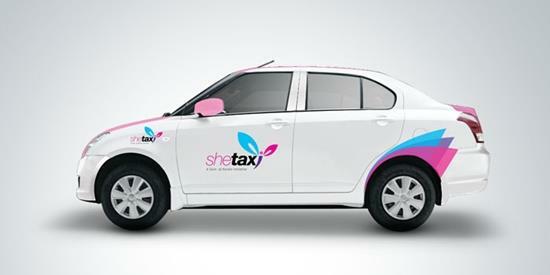 'She Taxi' in its original form is a innovative concept initiated by the state government. This program will not only empower the women community, but also account to a significant societal transformation in respect to the safety and security of women populace. This unconventional and groundbreaking initiative would bring radical changes in the society by providing safe and reliable journey. Designed with perfection to provide a sustainable, responsible, accountable and viable transport system, 'She Taxi' is meant for passionate women who wish to uphold this unconventional business. With a cab and control room connected 24/7, safety is guaranteed for women.